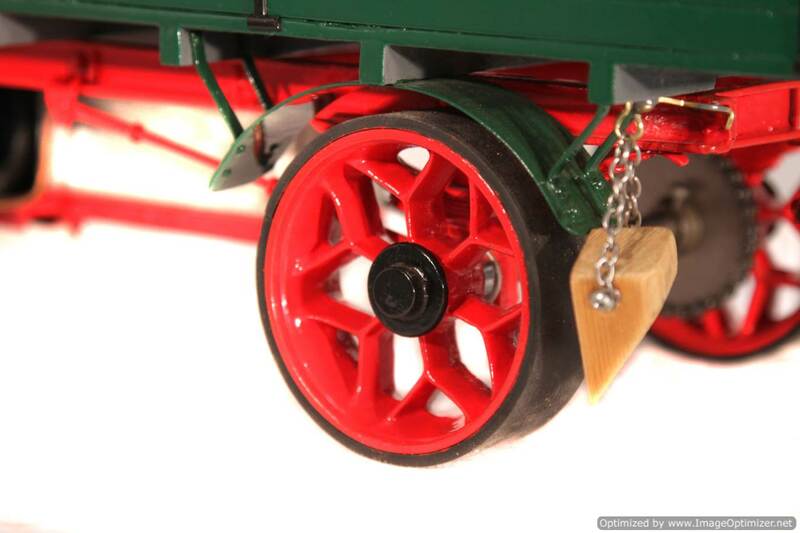 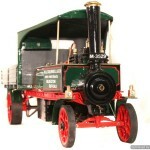 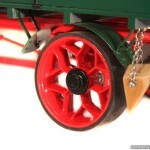 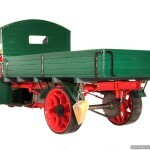 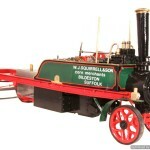 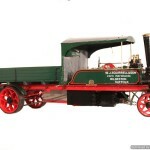 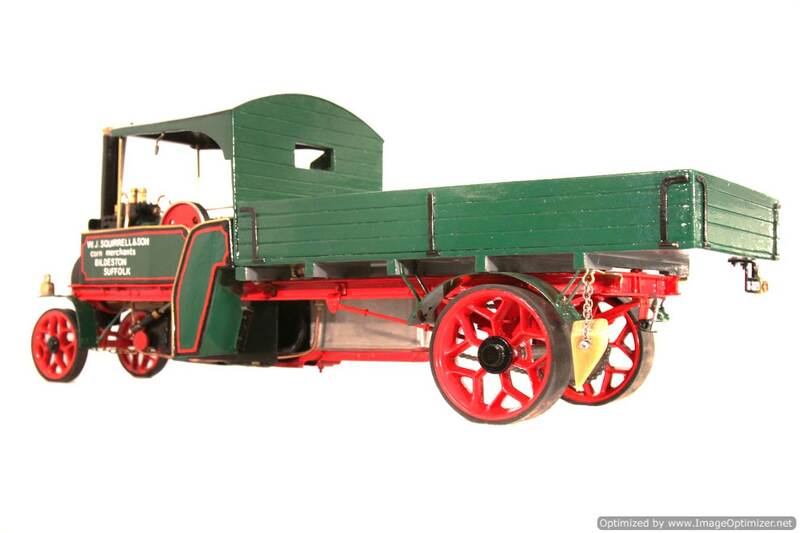 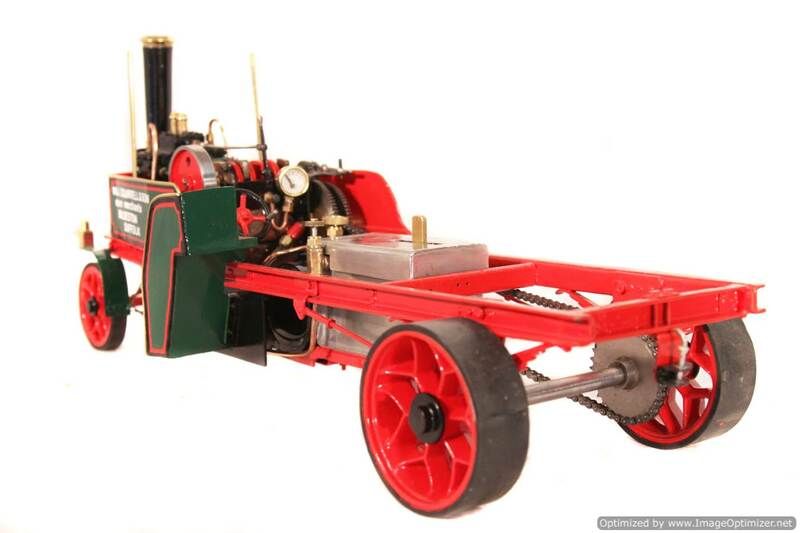 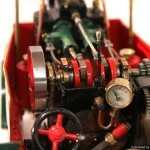 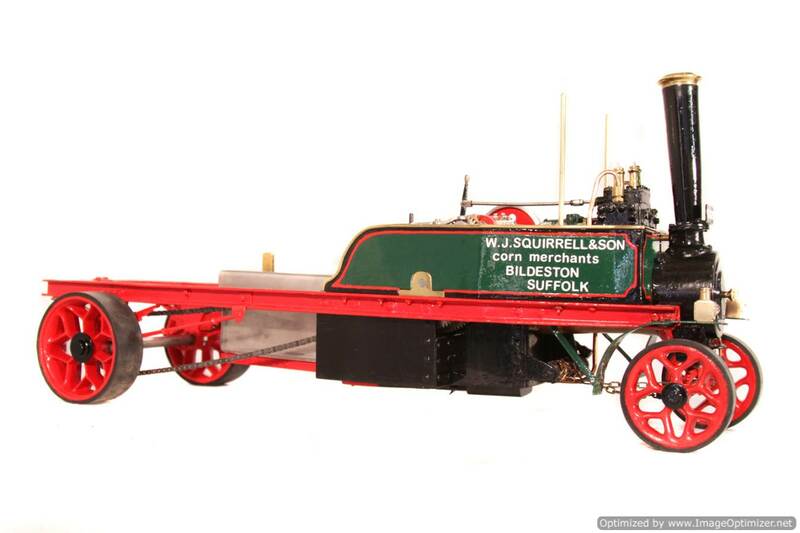 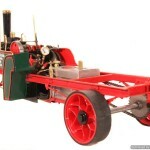 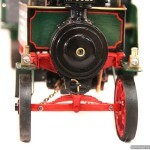 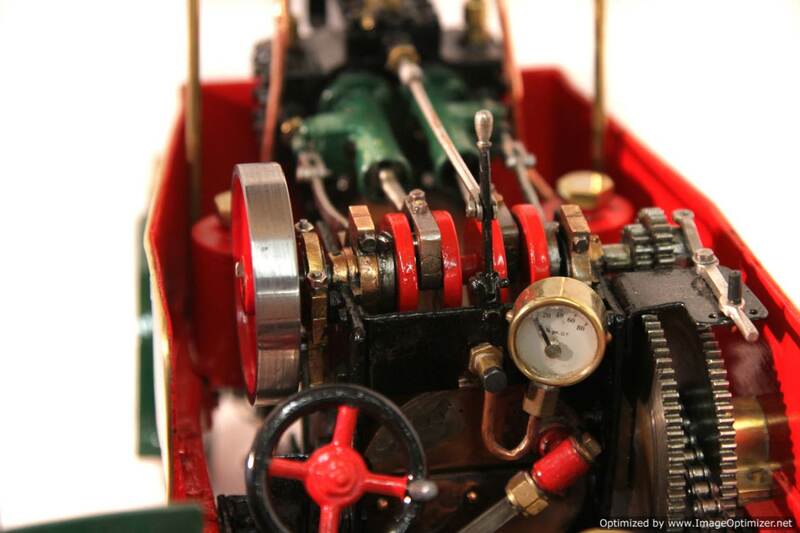 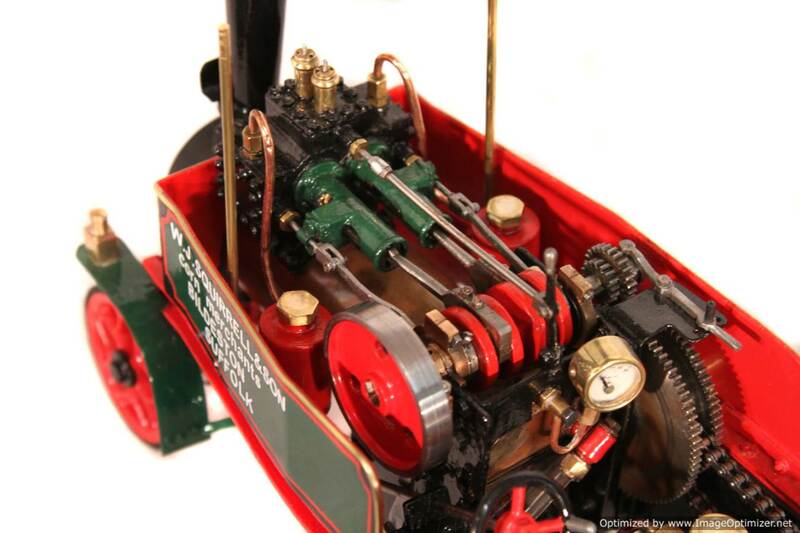 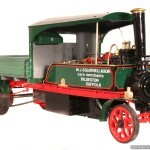 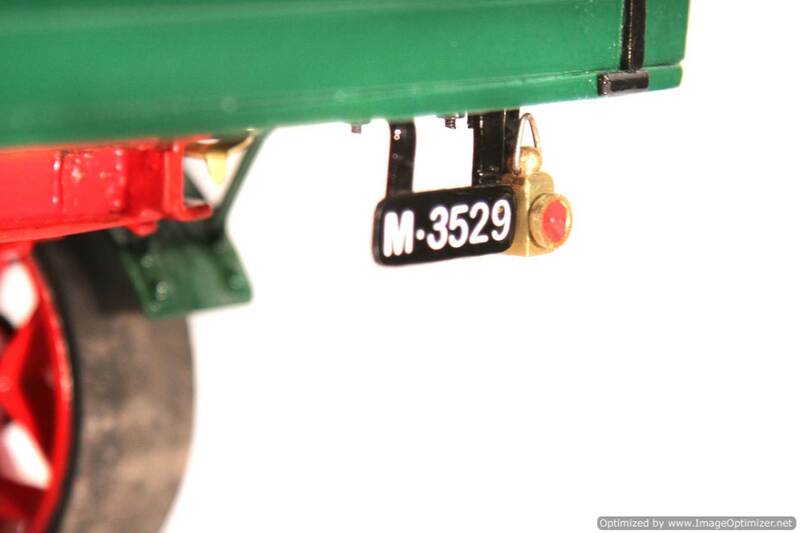 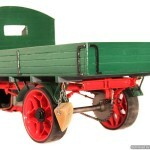 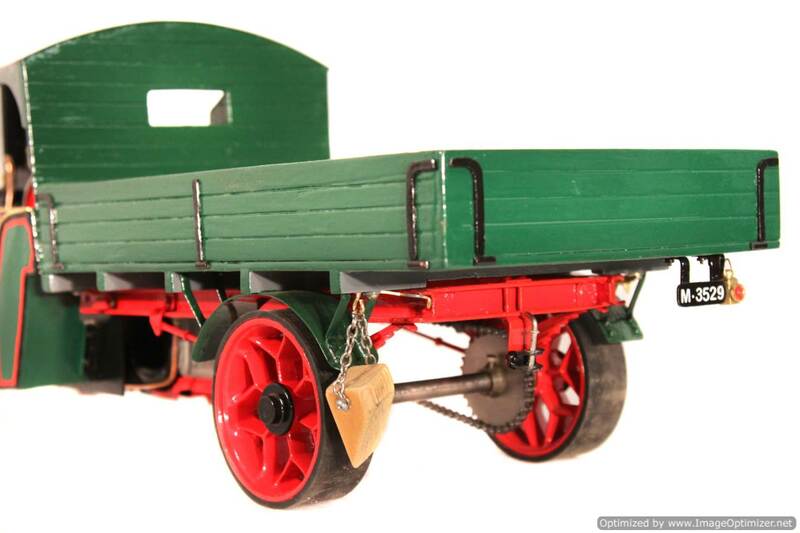 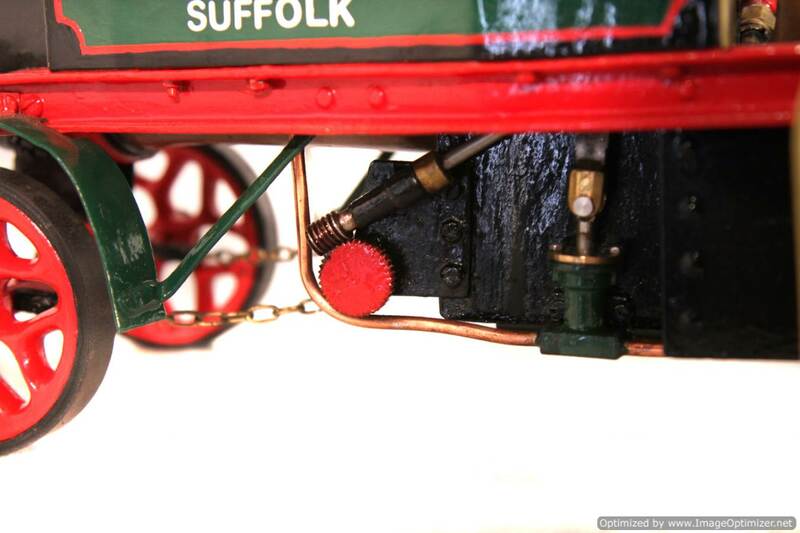 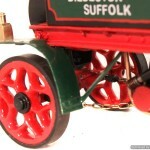 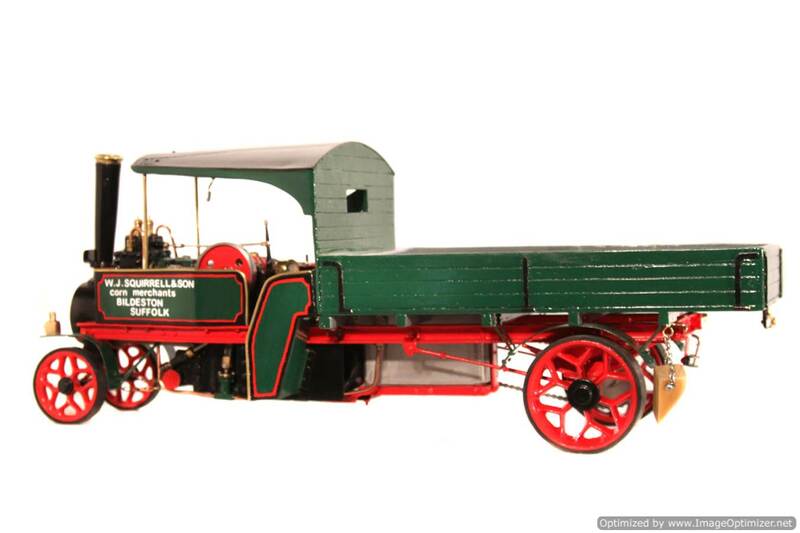 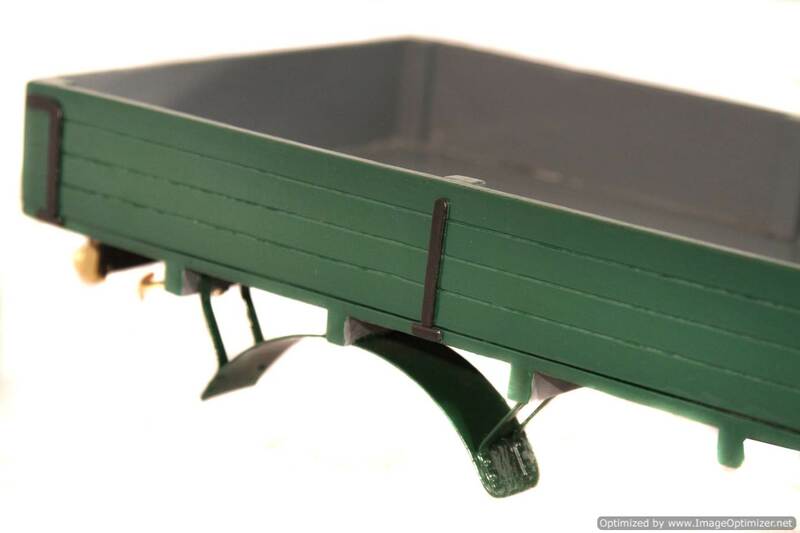 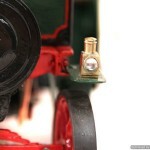 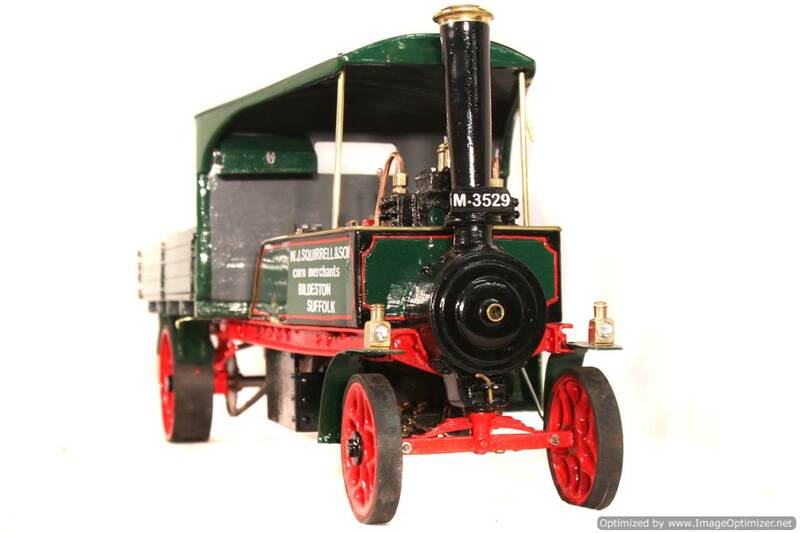 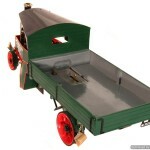 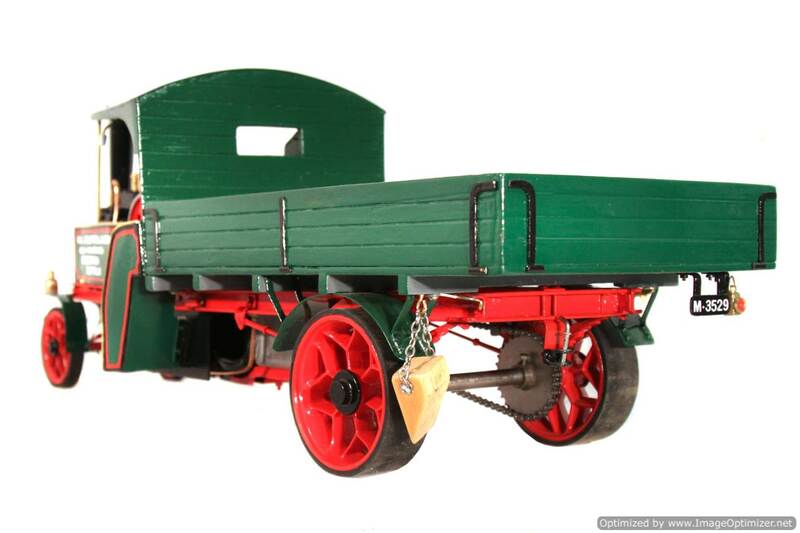 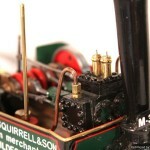 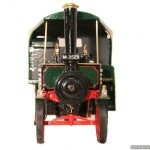 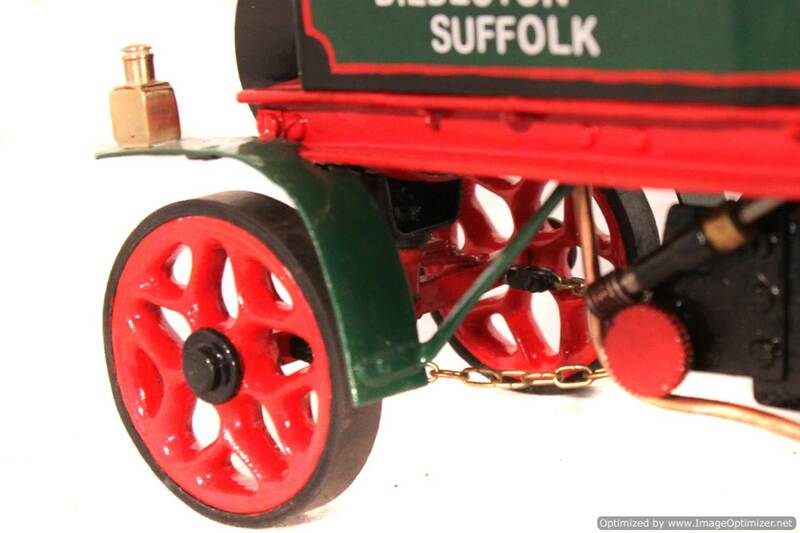 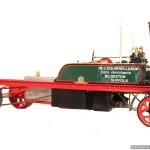 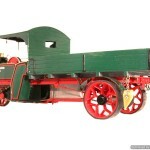 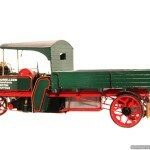 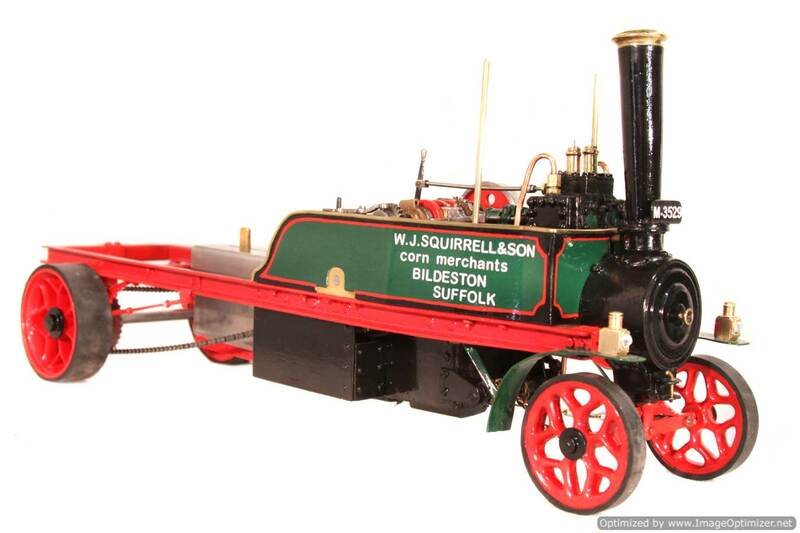 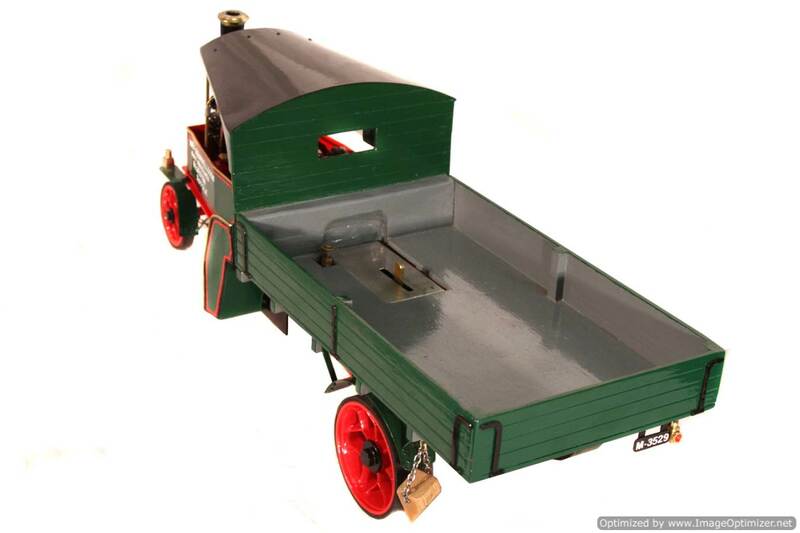 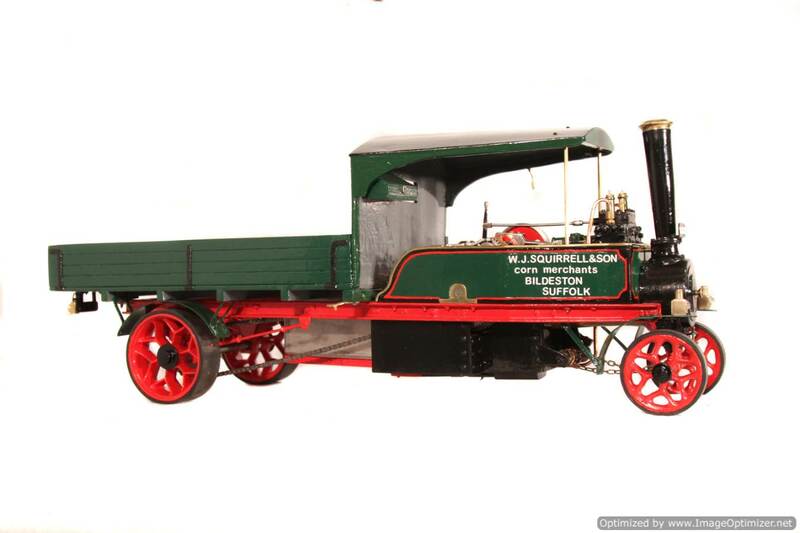 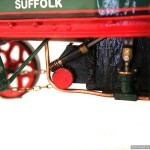 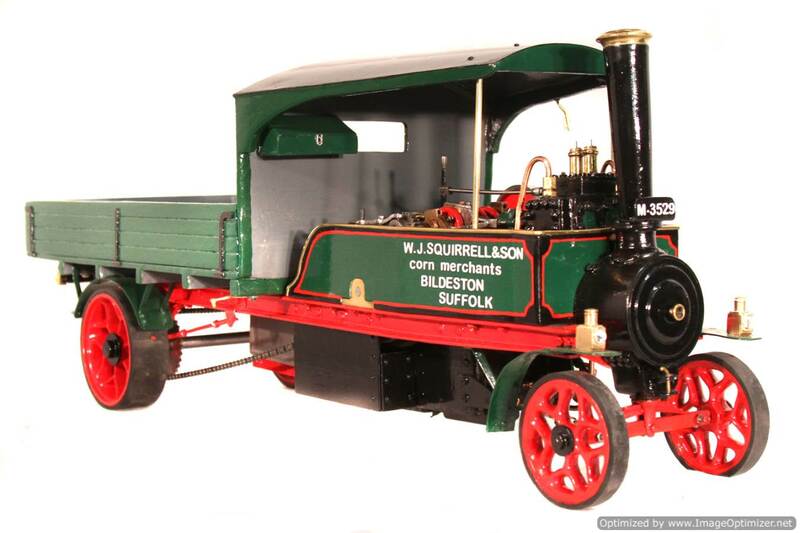 Here we have a rather lovely 1″ scale Foden Steam Lorry. 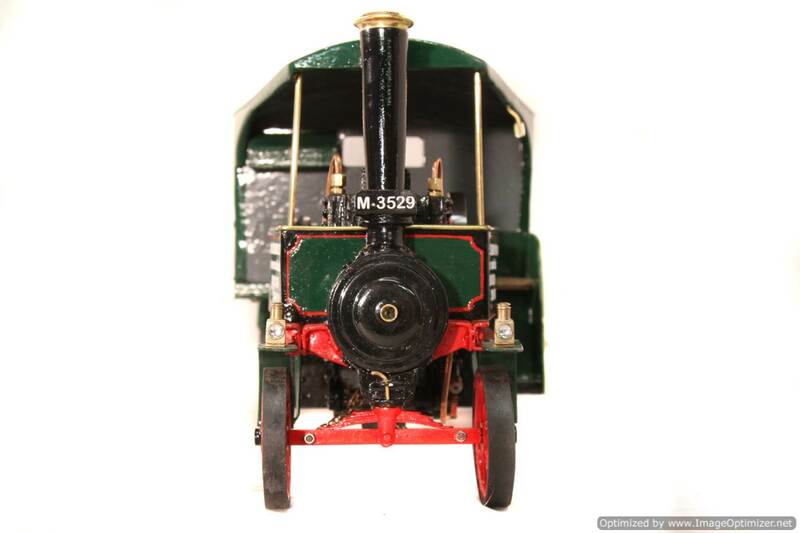 Another model that doesn’t pop up to regularly, and built to the designed by F.B.Neville 1985 called ‘Meg’. 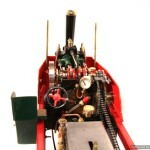 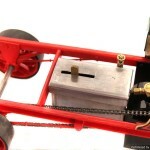 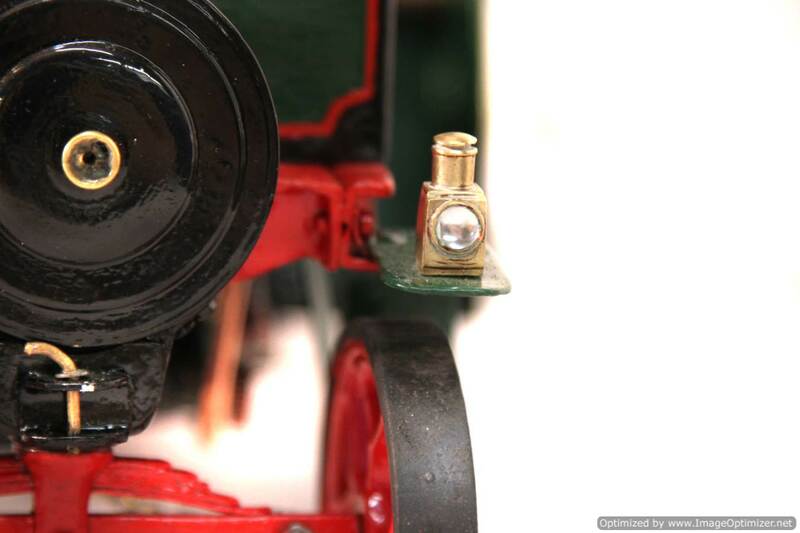 The model it’s self is gas fired, and in essentially as new condition, having apparently only steamed once or twice. 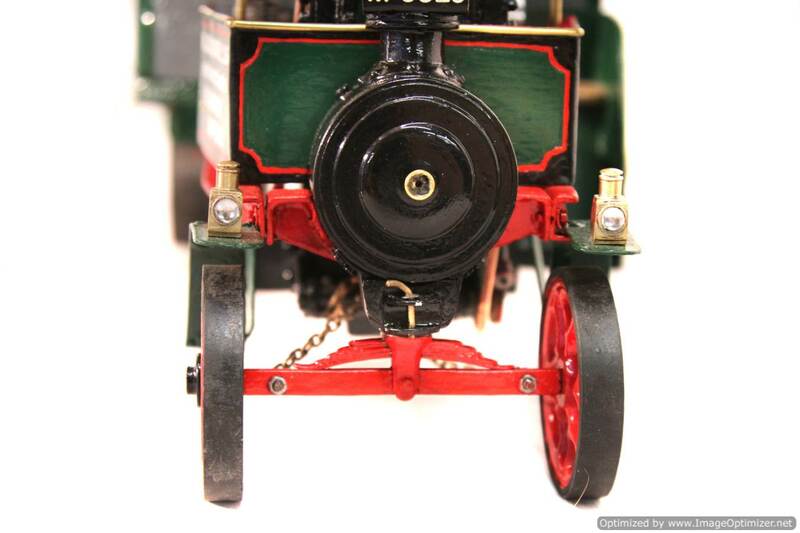 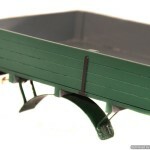 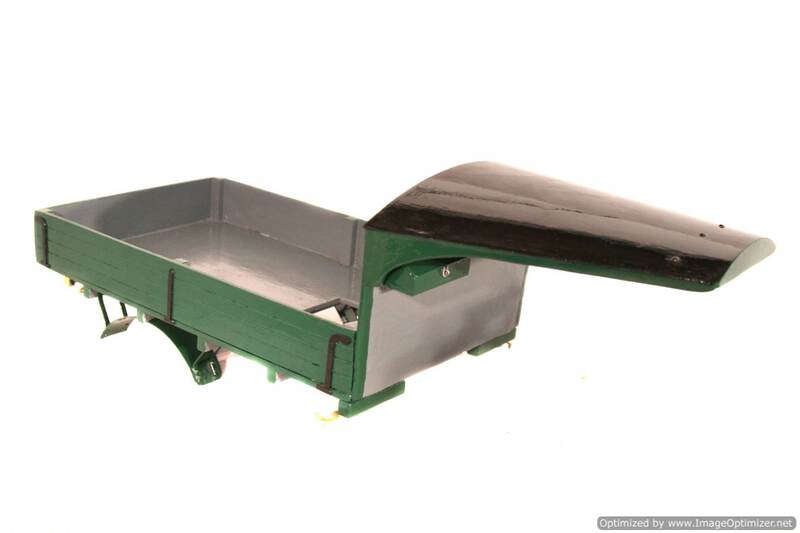 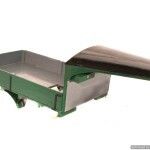 She is slip eccentric and competently engineered, and the paint and general finish is really nice and tidy. 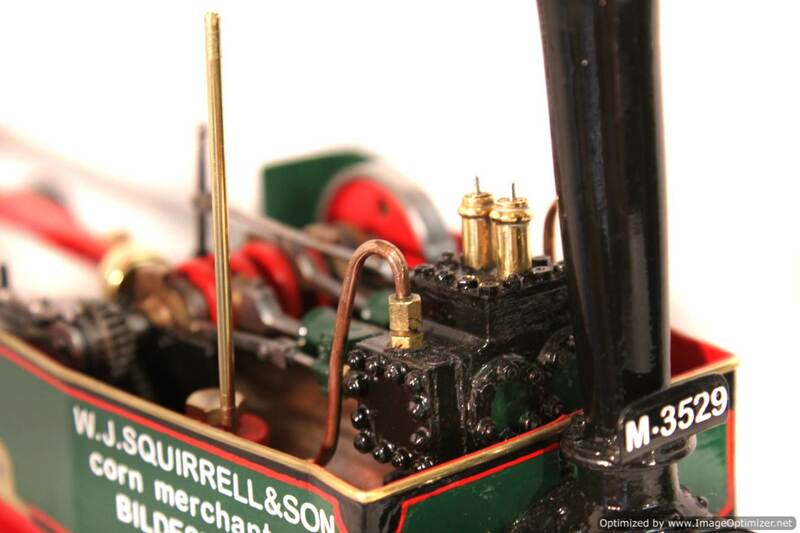 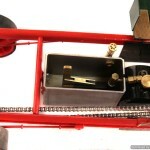 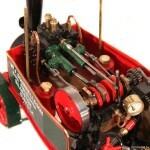 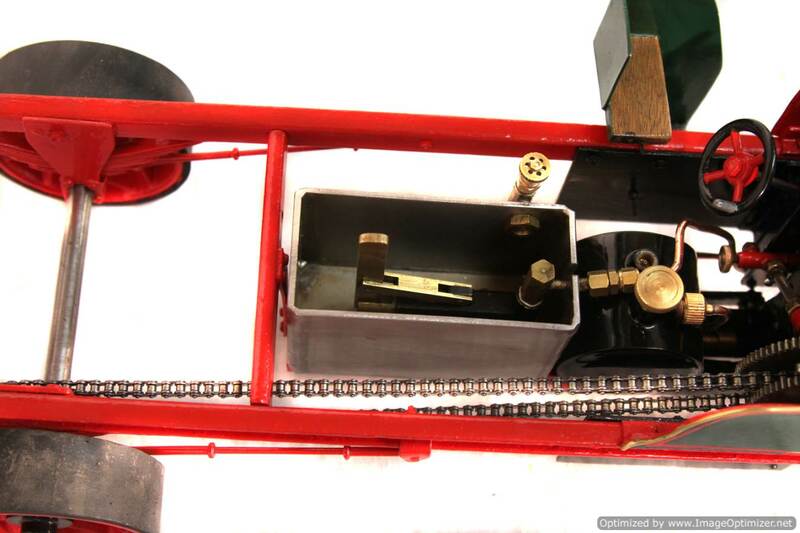 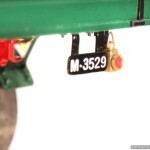 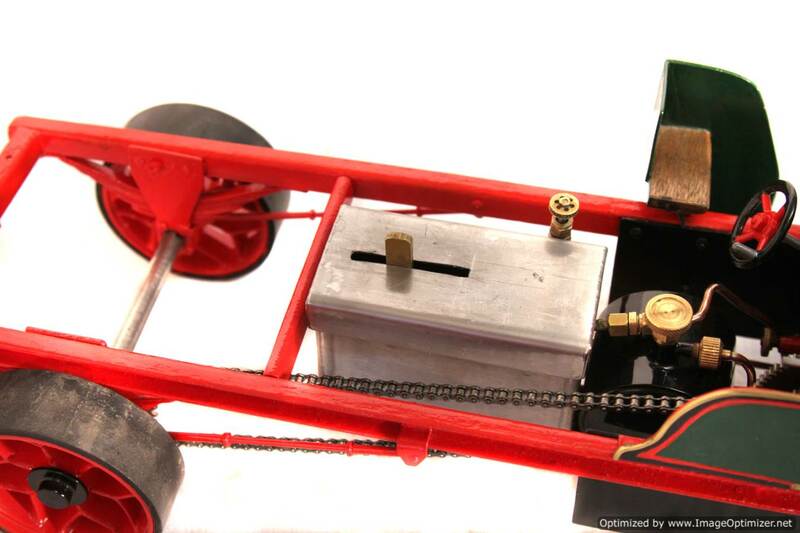 Boiler is of course copper and silver soldered, and if you’d like us to fully commission the loco for you to play with as well as look at,…. 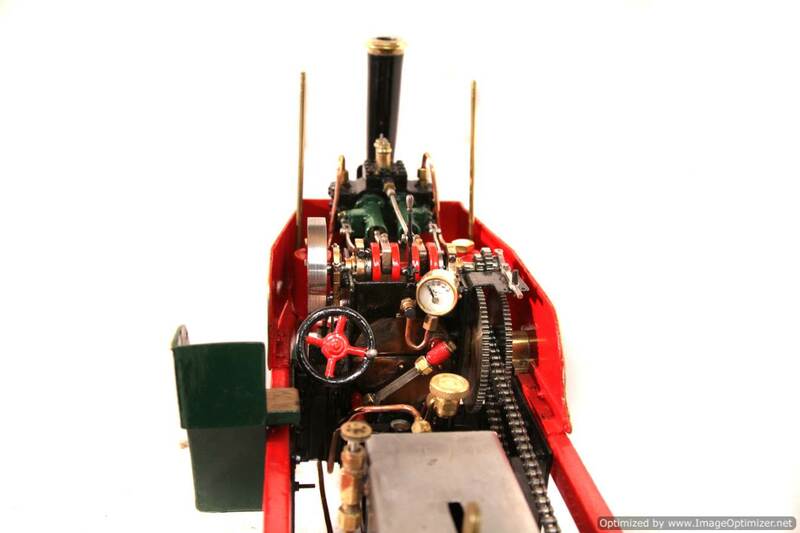 then of course we can get a full 4 year hydraulic test done on the boiler and a fresh annual steam test so she’s good to play.